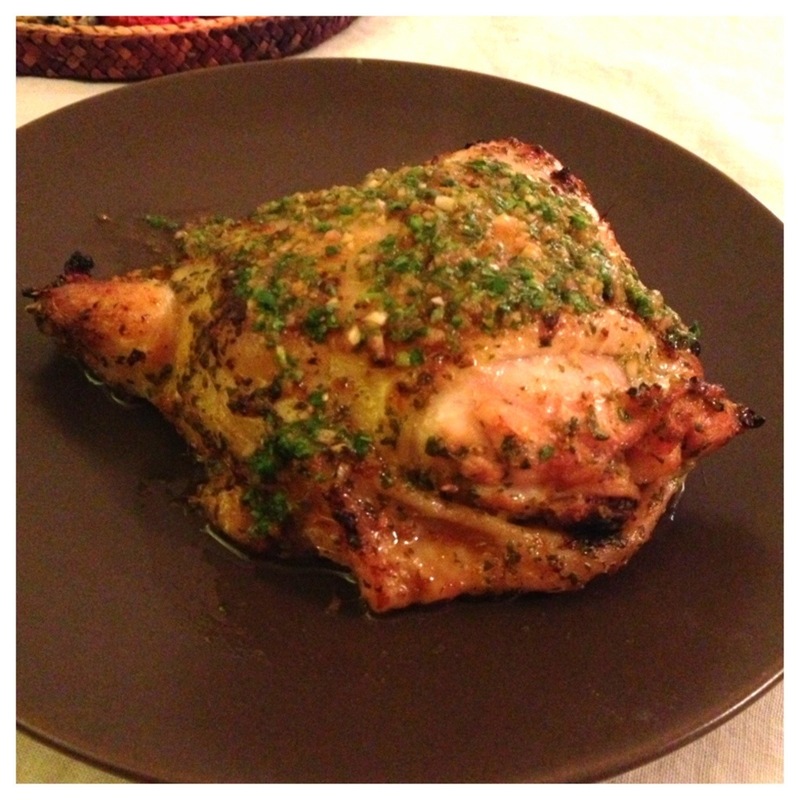 I found this recipe from Marin Mama Cooks on Gojee (which has a decent food app again, thank you!) and even though we started late, and it’s kind of a process, it was totally worth it. 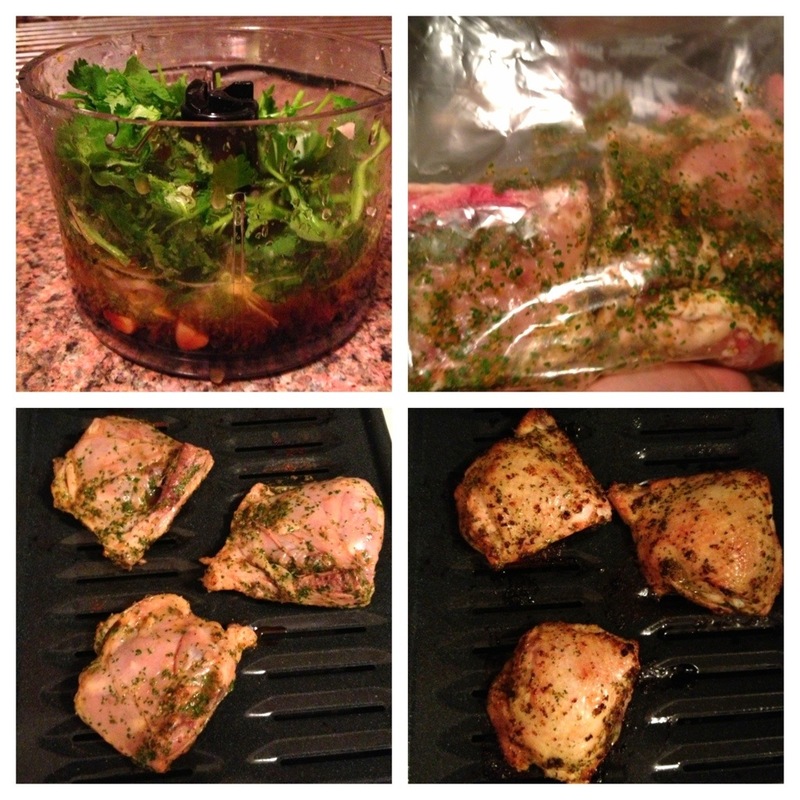 Side note: When we took the chicken out of the marination bag, there was a lot of marinade left in the bag. It’s so delicious we didn’t want to throw it out, but since it was contaminated with raw chicken we couldn’t use it at the end, and it wouldn’t work to pour it over the broiling chicken because it would all just fall into the pan. So what did we do? We used it to sauté mushrooms and kale. This was super delicious, especially the mushrooms which seemed to soak up the flavors the perfect amount. I think I would suggest serving this with something other than the chicken, however, because the marinade is pretty specific tasting so it’s easy to tell it’s the same thing.